Hands-on work is charged at £50 per hour. A full four wheel alignment and corner weighting usually takes around 3 to 4 hours - less if your car is already pretty close and just needs a tweak. Get in touch to discuss your requirements - there is no 'one size fits all' solution when it comes to alignment and car setup, so I need to chat with you to work out what will benefit you the most. 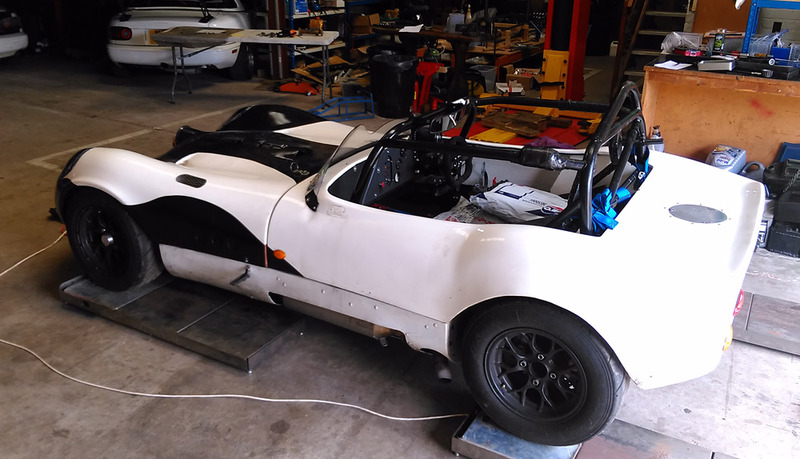 Please note that, at the present time (October 2018 onwards), I am only undertaking work on lightweight (under 750kg) rear wheel drive cars. CleaR Motorsport is based just a few minutes from each of the M6, M61 and M65 motorways, with plenty of off-street parking and good access. I am often away from the premises though, so please give me a shout in advance if you would like to pop round for a chat.